Monrovia, Liberia - The Liberian Leader, His Excellency Dr. George Manneh Weah, says the Liberia Anti-Corruption Commission (LACC) 2018/2019 “Assets Verification and Validation” exercise is laudable and calls on all officials of Government to join him in cooperating and complying with the campaign. 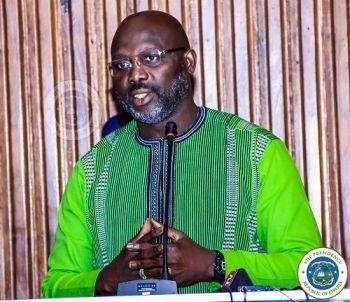 President Weah said the campaign is in harmony with Section 10.2 of the National Code of Conduct which requires the assets of all public officials and employees of the Government shall be verified and validated for investigation purposes. Acknowledging receipt of a letter from the Libera Anti-Corruption Commission (LACC/JNV-EC/2117/19) dated February 1, 2019 and received on February 4, 2019 at 4:20 PM, the Liberian Leader assured the Commission of his fullest cooperation as per the LACC’s communication. President Weah said LACC’s renewed assurances to combat corruption is a cardinal pillar for the success of his Pro-Poor Agenda for Prosperity and Development (PAPD) which focuses on transparency and accountability in governance.